I grew up eating very basic, traditional “Americanized” tacos. I think you know what I mean: ground beef, cooked primarily in chili powder, lettuce, diced tomatoes, shredded cheddar cheese, salsa and sour cream. Don’t get me wrong – I totally LOVED having that for dinner as a kid, and I still like eating them. But, there are so many different, fun, inventive kinds of tacos that you can make. Why would you just stop at ground beef and lettuce? So, mix things up and try something new next time you serve tacos. One of my favorite things to do is make up a quick slaw to top my tacos with instead of just shredded lettuce. It adds a whole different dimension of flavor to the meal. 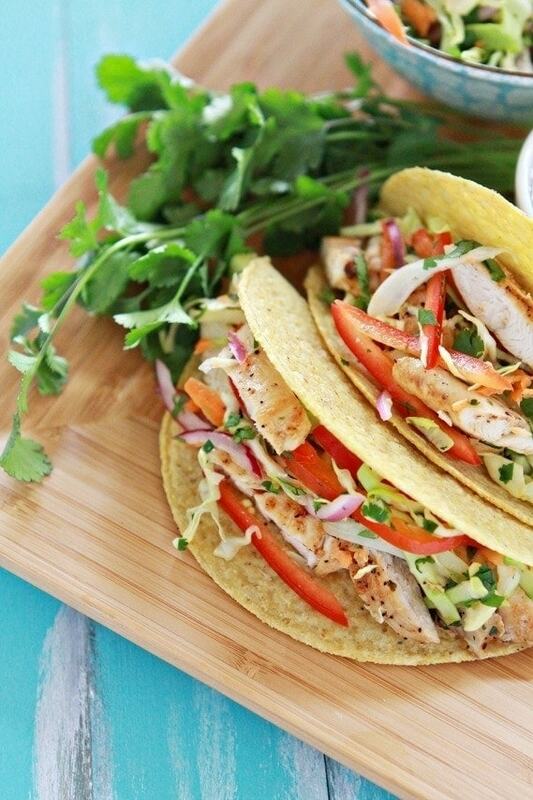 Try one of these easy slaw recipes for your tacos: Cilantro Lime Broccoli Slaw or Green Cabbage Cilantro-Lime Slaw. 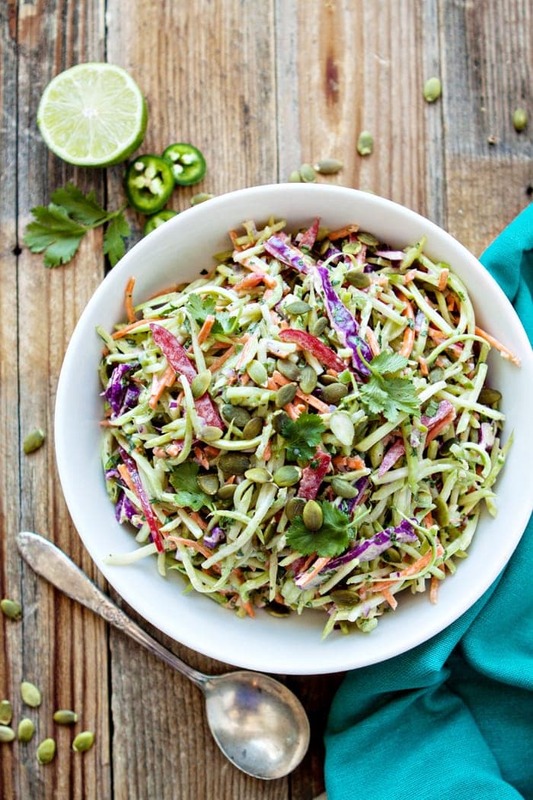 You can mix up using different types of slaw bases for varying flavors and textures: broccoli slaw, grated brussels sprouts, or cabbage (Red, Green, Napa, or Savoy – all which are available in a traditional grocery store). Tacos don’t have to mean just ground beef. 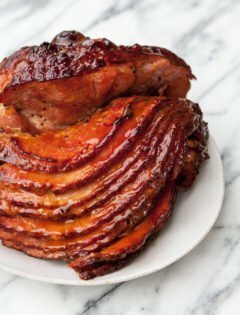 Depending on what’s available at home, or what the weekly grocery store specials are, you might like switching things up to try chicken (shredded, grilled strips, or ground), ground turkey, steak, pork, or fish. Use this Homemade Spicy Taco Seasoning on any meat that you want to prepare for tacos..
I’m not vegetarian, but that doesn’t mean I don’t occasionally enjoy a meatless meal. It’s lighter, usually, and saves time (or saves me when I don’t plan ahead and forget to thaw meat from the freezer). I love meatless taco recipes like Crispy Black Bean Tacos, Black Bean Breakfast Tacos, and Sweet Potato and Black Bean Tacos. 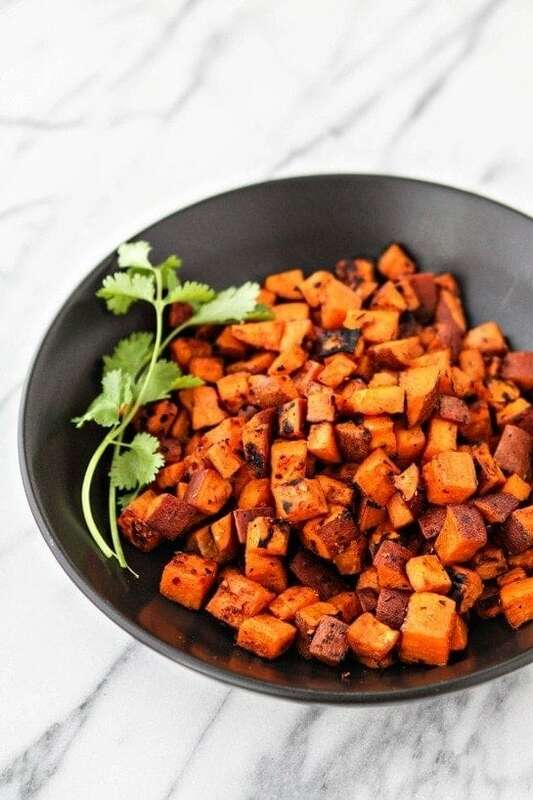 Roasted or grilled veggies, especially root veggies, try these Foil Grilled Southwestern Sweet Potatoes), and beans are a great hearty and meatless base. I think shredded cheddar is pretty classic, American taco night. I, however, love crumbled Cotija cheese. I’m able to find it easily at the grocery store, but if you can’t find it go ahead and try plain crumbled feta. Cotija has a slight resemblance to feta because it is white, crumbly and salty. Mexican blend cheese or pepper jack are also good to try in place of standard cheddar. Textures contribute so much to our enjoyment of food. If everything is soft and mushy it isn’t going to taste as good as something with varying texture. Some textures include: Creamy (5 Minute Basic Guacamole), Crunchy (Cilantro Lime Broccoli Slaw), Soft (tortillas – make homemade flour tortillas or buy your favorite corn or flour at the store) to name a few. 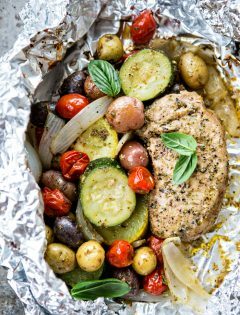 Recipes with varying texture all bump up the eating experience making it more pleasing and enjoyable. Try to include a few different textures in your next taco meal. But, certain fruits can go really well with the flavors of cilantro, lime, and jalapeño. Diced fresh pineapple or mango make great taco toppings and are a little different from the norm. 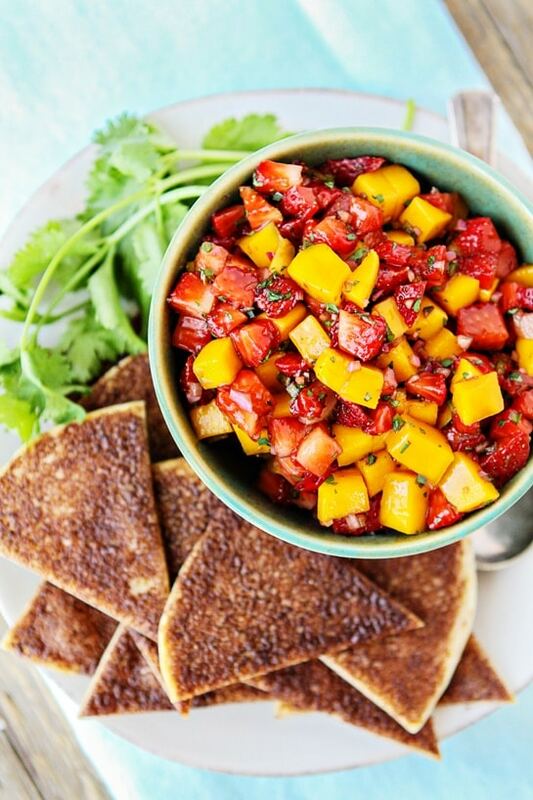 Try some of these fruity options for a hint of sweetness: Roasted Cranberry Salsa Recipe, Strawberry Mango Salsa, Avocado Peach Salsa, or Pomegranate Salsa. Chips and salsa is one of my favorite snacks to eat, so naturally I have a few different salsa recipes that I have shared here over the years. Changing up your salsa is a great way to add a different boost of flavor to your taco recipe. 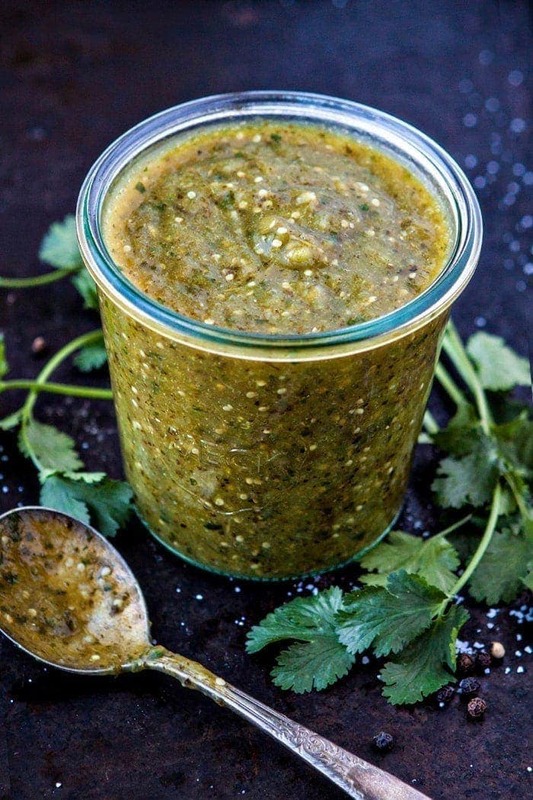 Red, Restaurant Style Salsa is great, but so is Easy Roasted Salsa Verde, Fresh Zucchini Corn Salsa, Creamy Cucumber Salsa Recipe. Or you can try a classic Pico de Gallo if you’d like tomatoes instead of a regular red salsa. How do you like tacos?